In 2010 we received a request from a grieving husband, who wanted to mark the death of his young wife. From the year they first met they had visited the Bluebell Walk together, until her death. Various ideas were discussed, including placing a discreet plaque, but it was felt that perhaps we should not have visible signs recording the death of a loved one in Beatons Wood, as this could be upsetting for other bereaved visitors. We were fortunate to have a close friend Judy Barker who was a calligrapher and she was happy to help us. 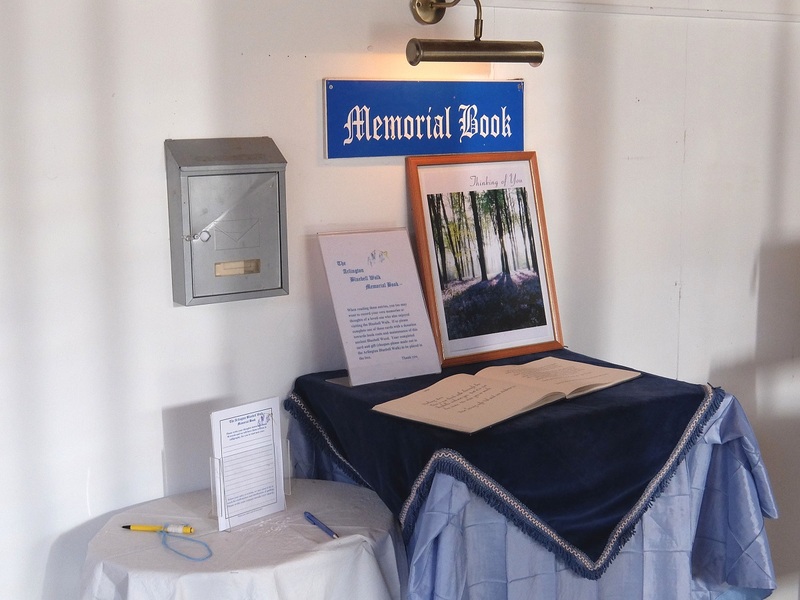 The idea of having a Memorial Book for those who have lost a loved one, to enable them to record their memories and thoughts with a verse or some chosen words, thus became a reality. We chose an appropriate book and Judy carefully wrote our first entry. In 2011 it was then placed it in a quiet corner of the Action for Medical Research charity’s Secondhand Book Room. It is there every day of the annual Bluebell Walk. When reading these entries you too may want to record your own memories, or thoughts of a loved one, who used to enjoy visiting Beatons Wood. Details can be obtained by emailing john@bluebellwalk.co.uk or writing to Arlington Bluebell Walk, Bates Green Farm, Arlington, Polegate BN26 6SH. 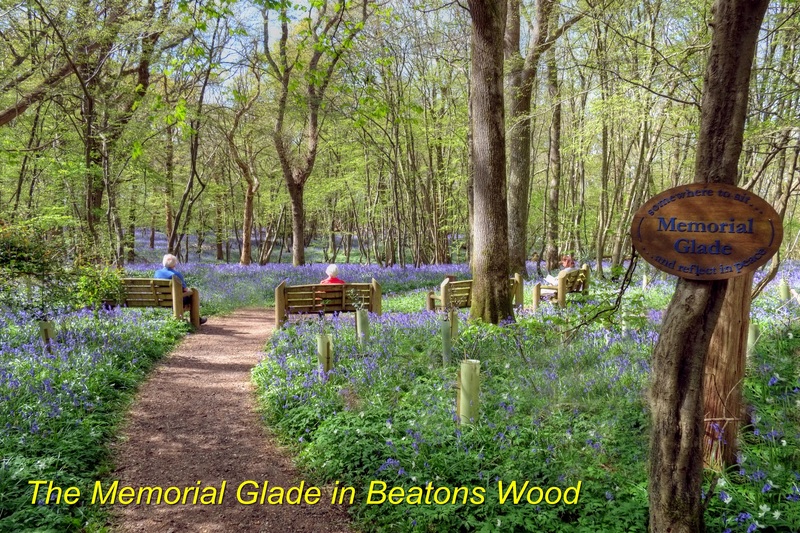 Reading those first entries in the Memorial Book, so evocative in highlighting the grief of those left behind, made us realize the significance of visiting Beatons Wood during the Bluebell Walk, as a special time to remember loved ones for many people. We wondered that as the Memorial Book was helping in a small way towards alleviating that sensitive subject of grief, were there other ways that could also help. In 2012 we installed four benches in a semi-circle in a secluded area of our wood. We called this area The Memorial Glade, where people can sit in peace and comfort, to reflect and think. The view from these benches is not disturbed by other paths users, and we have planted holly trees to ensure a sense of privacy as they grow. If we receive a request to do this, we take it as a compliment. This private Wood is such a special place which holds many many happy and lasting memories for visitors. We do not allow the scattering of ashes during the Bluebell Walk, as this could be upsetting for those recently bereaved. We do ask for a donation (which now includes VAT) towards the upkeep of this lovely ancient wood. Please contact John McCutchan by email john@bluebellwalk.co.uk or phone 01323 485151 to make suitable arrangements.